Each chapter concentrates on a single administrative area, discusses the possible pitfalls, and then shows how Perl comes to the rescue. Along the way we encounter interesting Perl features and tricks, with many extended examples and complete programs. The scripts included in the book can simply be used as written or with minimal adaptation. But it's likely that readers will also get a taste of what Perl can do, and start extending those scripts for tasks that we haven't dreamed of.Perl for System Adminstration doesn't attempt to teach the Perl language, but it is an excellent introduction to the power and flexibility of Perl, and it whets the appetite to learn more. 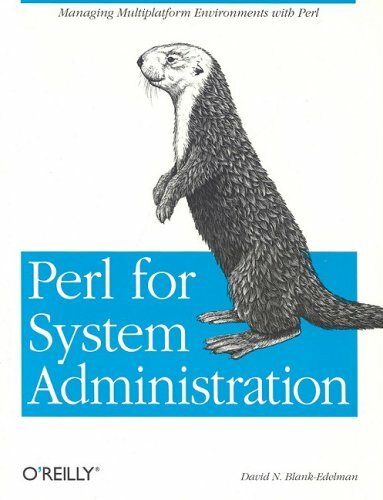 It's for anyone who needs to use Perl for system administration and needs to hit the ground running.